It may be cold outside, but inside things are heating up thanks to some incredible Gardening Tool Black Friday Deals. I know, you’re probably thinking: “who gardens in the winter?” Well, lots of people do, depending on where they live and what they grow. Plus, with all these sales, now is the perfect time to stock up and get ready for spring. So if you or someone you know likes to get their hands dirty, check out these deals because any or all of them make a great gift. No matter where you are or what the climate, there is never a bad time to pick up some great garden gadgets. Maybe you have an aunt who lives in California and has a green thumb, or maybe your husband is an avid vegetable grower and even though it’s too cold, his dream rake is on sale now. Whoever it is, wherever they live, you can’t go wrong getting them a garden tool. These gifts are appreciated because they make it easier for whoever you give them to to do what they love. 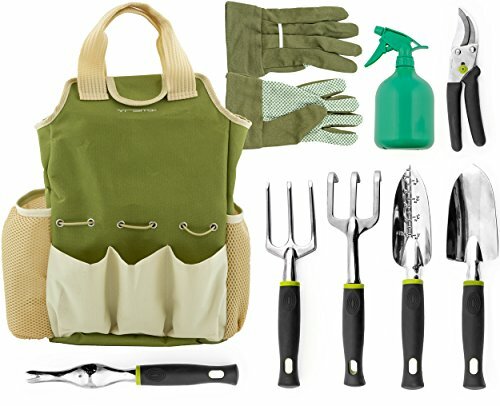 Now it’s time to check out the top Black Friday Gardening Tool deals. There is something in every price range and for every hobby, so you can get a gift for everyone on your list- even you! 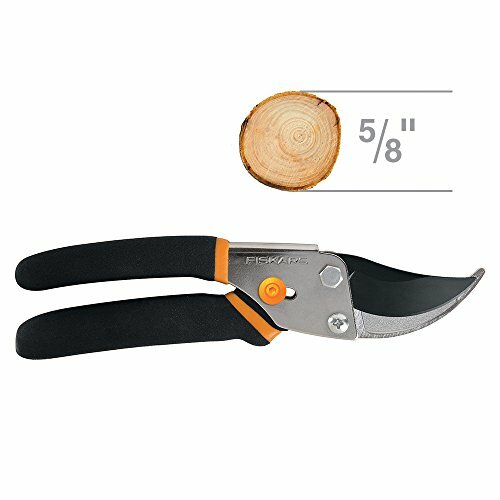 For those with trees in their yard or tall plants, this lopper will make shaping and pruning quick and simple. The 26″ long arms make it easier to reach higher branches without a ladder and are coated to withstand the elements. Speaking of which, the steel blades are resistant to rust and coated to withstand friction, so you can lop off branches during a rain shower or cut through sap without a struggle. An essential tool for any gardener. Have a friend or co-worker with a small garden or vegetable patch? Then this 9-piece set will make the perfect stocking-stuffer. It has all the essentials, from a water bottle to spray wilting leaves to pruning shears to help everything growing healthy. And there is a pair of comfy gloves to protect the user’s hands along with a durable, compact bag to carry all the tools in. Gardening can really wear you out, so if you’re looking for a gift for someone older or with a larger yard, this scooter is a must! The big, PVC wheels supply great traction, so the scooter can easily roll over slippery grass or bumpy dirt and they also provide stability, so it won’t tip over while someone is sitting. But what I love best is the tray underneath, so grandma can put her rake and any other tool she needs underneath. 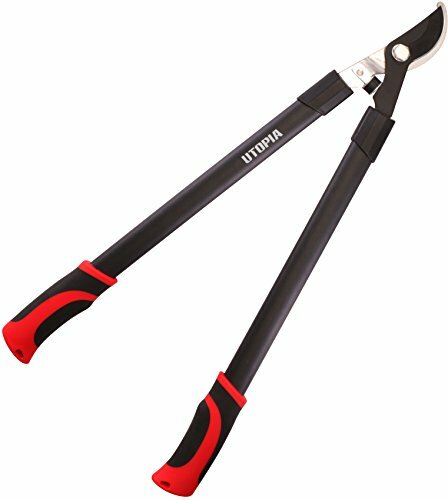 Anyone with an eye for planting and pruning will love these shears. From the ergonomic handle to the super-sharp steel blade, cutting branches, leaves, and more will be a snap. The blades are coated so they will cut through wood without friction and won’t jam from sap or other sticky substances. For me, they’re ideal because they’re lightweight and have a quality blade for a low price. Serious gardeners (especially guys) will go crazy for this 3-in-1 tool, which can do all the hard work, from weeding to digging. 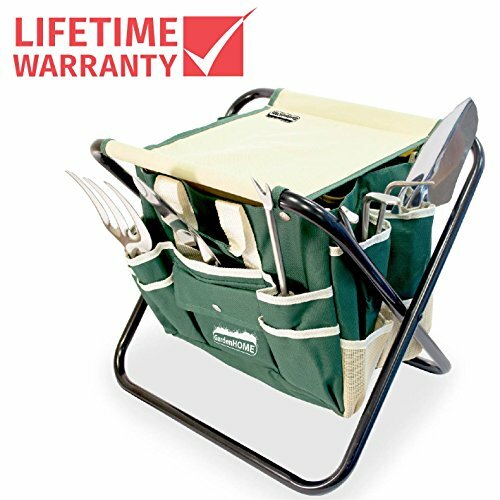 Lightweight but powerful, it has 3 attachments: a tiller, weeder, and hole driller, along with a stability bar to keep everything attached while in use. And the elongated bar fits those short and tall, making it easier to till the soil and get it ready for planting. 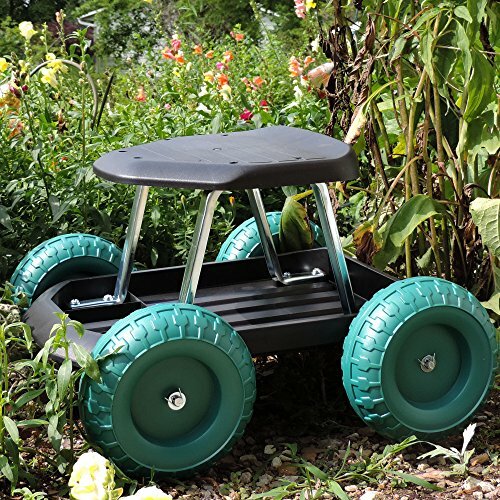 What I like about this is that it alleviates pressure on the user’s knees and lower back, so if you have a grandparent who likes to plant, pick this one up. If your sister loves to toil away in her garden or your boss has window boxes, pick them up this awesome gift on Black Friday. The stool is ideal for them to soak up some sun and their surroundings: it lets them sit and shear or prune without hurting their backs and lets them enjoy their work and surroundings when they’re done. The bag is chic and durable, so it won’t rip or tear when users put their tools in and the 5 tools included are all stainless-steel, so they won’t wear down after repeated use. 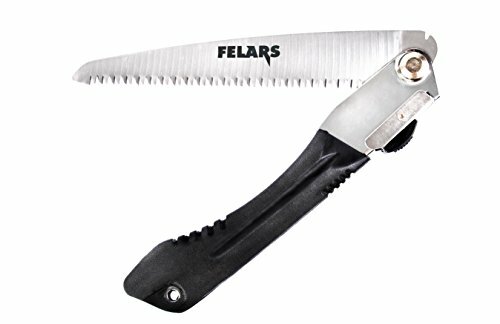 The ultimate tool for hacking and sawing through branches, this portable hand saw is light, strong, and can be taken anywhere. They fold, so users never have to worry about accidentally hurting themselves or anyone else and feature teeth that are forged from carbon steel and triple cut, so they won’t dull after repeated use. The blade is coated for low friction and to stand up to the weather, so no rusting in humid or rainy weather. I love that you can fold them and go, making them a solid tool for those who have a larger area to cover. Eliminate weeds forever with this clever tool, which makes removing unwanted twigs and weeds a breeze. From the unique design to the ergonomic grips, users will look forward to weeding and fertilizing once they get their hands on this. The curved, tempered steel blade grabs weeds at the roots and the handle is made to be held by left right-handed users, for the perfect fit every time. This is a great tool for beginners, those with arthritis or anyone who doesn’t like to weed. 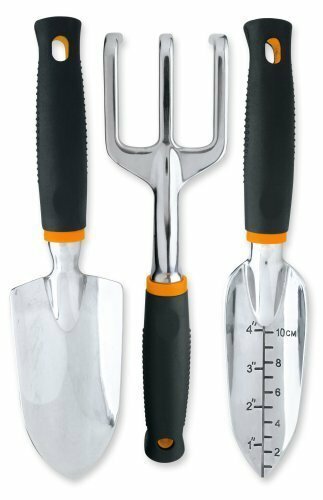 This 3-piece set is a smart buy if you or someone you know does a lot of tasks, from aerating dirt to transplanting bulbs and digging new plantings. 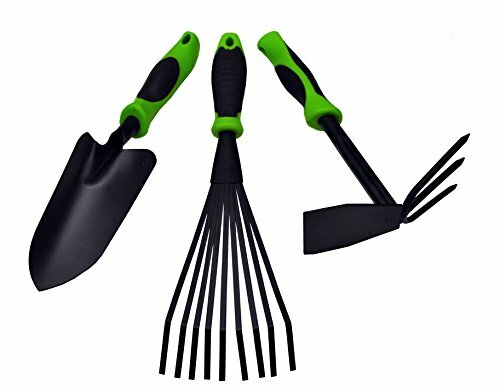 Made of cast aluminum, the hand rake, spade, and shovel are all rust-resistant and shaped to make digging in the dirt easy on your arms and upper body. And the contoured, ergonomic handles make gripping, digging and raking smooth. 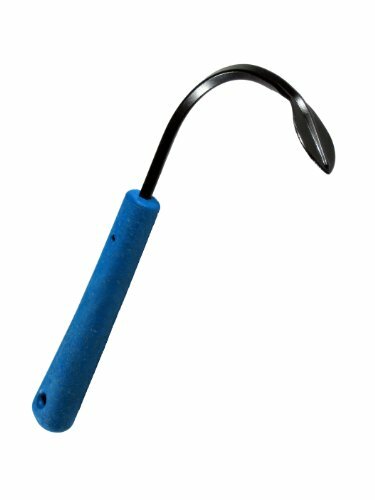 Smaller gardens need a lot more work when it comes to weeding because it can take over quicker and this hoe will help with that. The blade will slice through the most stubborn weeds as well as any small branches and twigs that may find their way to the ground. The price on this tool can’t be beaten and it’s so lightweight users will feel like they’re carrying nothing. You can never go wrong with a set of basic, essential tools, which is what this kit is all about. 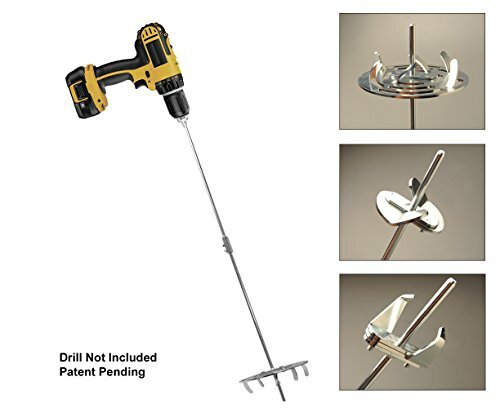 There’s a trowel for aerating dirt, a must for planting, a fan rake for prepping dirt for planting and a culti-hoe for blasting stubborn weeds. All 3 tools are powder coated so they won’t break down over time and the handles are rubber coated and ergonomically shaped to reduce fatigue in the user’s hands and wrist. 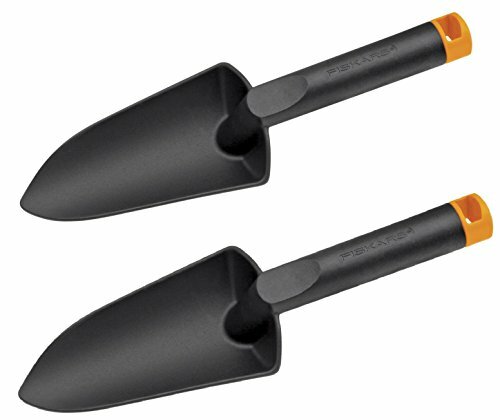 I love the culti-hoe, which has 2 sides so you can tackle dirt at the right angle depending on the job you’re doing. A great set at a great price. This 2-for-1 deal is too good to pass up, especially when it’s such a quality tool. The extra-large head will break up more dirt in less time and the FiberComp steel makes it lighter without compromising on quality or durability. It is easy to handle and is perfect for a kitchen garden or anyone who loves to plant flowers. So, why buy now? Because there is no other time to find lower prices. Black Friday is the shopping event of the year when retailers everywhere dramatically drop prices. Many retailers now make Black Friday a weekend or even week-long event, keeping their stores open late into the night or, as is the case for many on Thanksgiving night, for 24-hours straight. Black Friday is always the day after Thanksgiving and will be on November 24 this year. Cyber Monday is the Monday right after on Nov 26, 2018. I hope this list of Gardening Tool Black Friday Deals makes you want to get your hands dirty- and do some shopping! These gifts all come at a great price and will put a smile on the face of anyone you give them too- even yourself!